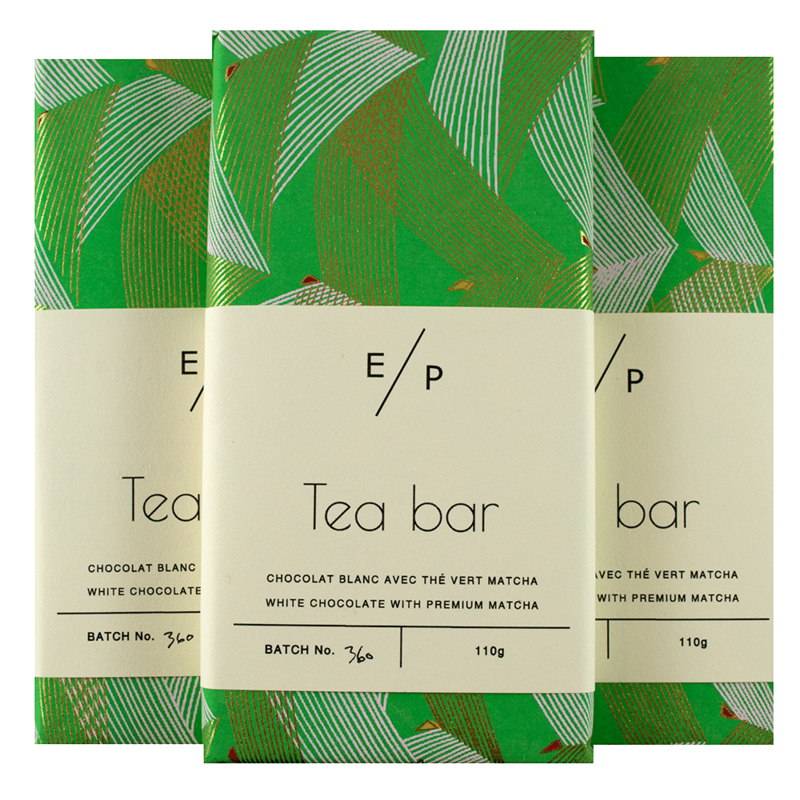 Starting with a base of real, all-cocoa butter white chocolate, our tea bar is elevated with organic Japanese matcha. The sweet-cream character of the chocolate is perfectly balanced against the teas grassy, earthy, and bitter notes. A sophisticated, stimulating treat.